Thiruvananthapuram: In a first of its kind initiative, Kerala Chief Minister Oommen Chandy on Wednesday launched an ‘air ambulance’ to be used exclusively for speedy organ transplant. The brand new six-seater aircraft is owned by the state-owned Rajiv Gandhi Academy for Aviation Technology that imparts training to those seeking to become commercial pilots. At Wednesday’s function, a memorandum of understanding (MoU) was inked between the Aviation Academy and the Kerala Network for Organ Sharing headed by the principal of the state-run Thiruvananthapuram Medical College who will work together for speedy organ transportation between hospitals. Speaking to IANS, Noble Gracious, the nodal officer of the humanitarian programme, said the service would be available from Wednesday onwards. ”All the private and state run hospitals will be linked in this programme and this aircraft will be used to transfer and transport organs from brain dead patients to the patients needing transfer,” said Gracious. Chandy had announced last year that the state government will set up its own air ambulance after a heart from a brain dead person was transported from here to a patient in Kochi using an aircraft. The state government has set aside Rs. 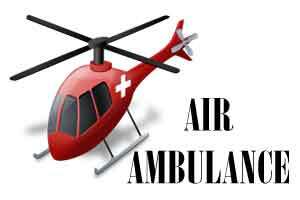 5 crore for the operation of this air ambulance.